My article about reloading pistol caliber cartridges is out in Dillon Blue Press October issue, on page 62. For best layout, download the file and view it in “facing pages” mode. This entry was posted in ammunition and tagged 357Mag, Bluepress. Bookmark the permalink. Nice. I skimmed the whole issue, lots of nice stuff there to read. A puzzle: Page 78 shows a new Glock. Are they really making a real firearm that’s colored blue? Or is the blue one a mockup? It doesn’t’ say so. A pistol caliber carbine is a major compromise in carbine power, in favor of ammunition interchangeability between carbine and pistol. A pistol carbine pairing, therefore, makes sense only if you achieve total ammunition (and magazine) interchangeability. 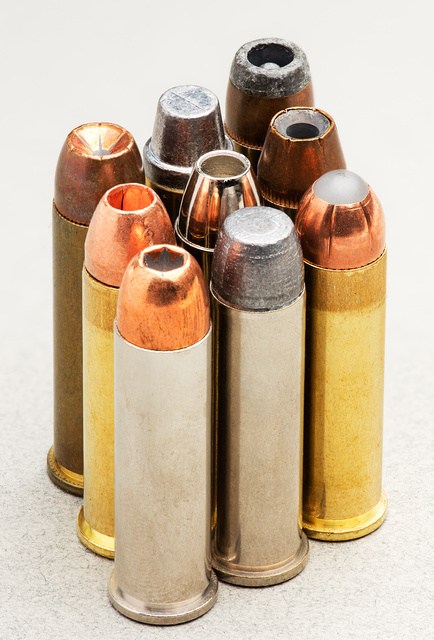 If you have to segregate your ammunition between carbine ammo and pistol ammo, then you’ve lost the primary benefit of making the compromise in carbine power. Therefore you may as well go with separate chamberings, and the more powerful carbine cartridge. In short; if I can’t use the same loads, fed from the same the magazines, in both carbine and pistol, then I have no reason to consider a PCC. What if the ammo interchanges but the mags do not? I’d think that’s still much of the benefit and still reasonably useful.